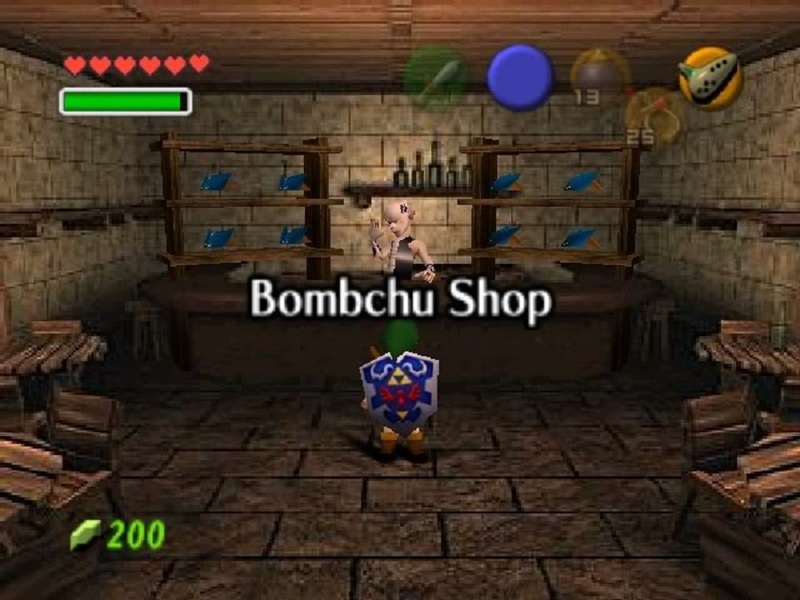 Daily Debate: Which Salesman In Ocarina of Time Chose The Worst Location to Set Up Shop? There are many things to consider when starting a business. Do you have a product that people need? Can you sell it for more than you get it for? And unless you plan on doing business solely online, you need to consider location. In Ocarina of Time, a number of salesman seem to forget these things. It goes from the Bombchu shop in a back alley, to a business scrub in Jabu Jabu who set up in a room you have to dive to get to, all the way to a guy who sells things on his flying carpet in the Haunted Wasteland. It seems that these guys just come up with worse and worse places to try to hawk their wares. My question for you is, which one chose the worst location? Although a scrub selling in a big fish’s belly seems like a poor choice, at least Ruto could be a regular customer. For the salesman in the Haunted Wasteland, he can only be visited by someone wearing Hover Boots. Are there really enough of those out there to give him any business at all aside from Link maybe once? Let us know in the comments below. Who made the worst location choice?